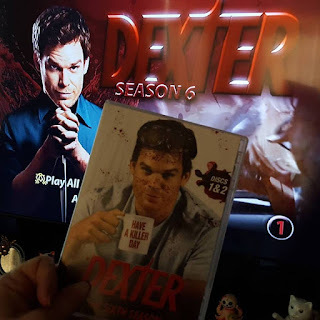 Following through on a "promise" made to a friend, Carina, I'm watching Dexter! Post what you think when you finish! I was way more into the first few seasons than the last few, but it was a fun show to watch. I'm trying to decide what's next. We're maybe trying Marco Polo on Netflix. i've made it about half way thru season 7 and got a little stuck. it's good, don't get me wrong, but it's not as good as season 6 to me. i've taken a couple days off from watching it. need to start up again.